« On Thursday November 1 night Yatai in the Favela! There is a sound tribute to the “popular knowledge of those unrecognized flamenco artists of the Campo de Gibraltar” who has already begun to recognize scenarios. We are talking about the new work of Kálorica Woman, “The goods of the earth”. This is what Alicia Carrasco and José Manuel León have called their new album, a journey through the golden age of flamenco knowledge in the region. The “colmaos” were the meeting point of art and life in a border region that breathed flamenco.Tarifeños as Diego Piñero and his fishing fleet inspired by then coplas that also portrayed the history of the moment. That’s what Klórica Woman has looked at to pay homage to “The goods of the earth”. They will be in Tarifa, in the Alameda, next November 1 in a concert that will bring together the work of other interpreters. Salvador Andrades, María Delgado, Pastora Andrades, Antonio Martin, Rocio Diaz, Blanco Orozco, Ruup Ruppik, Adrian Trujillo Fabre and others. 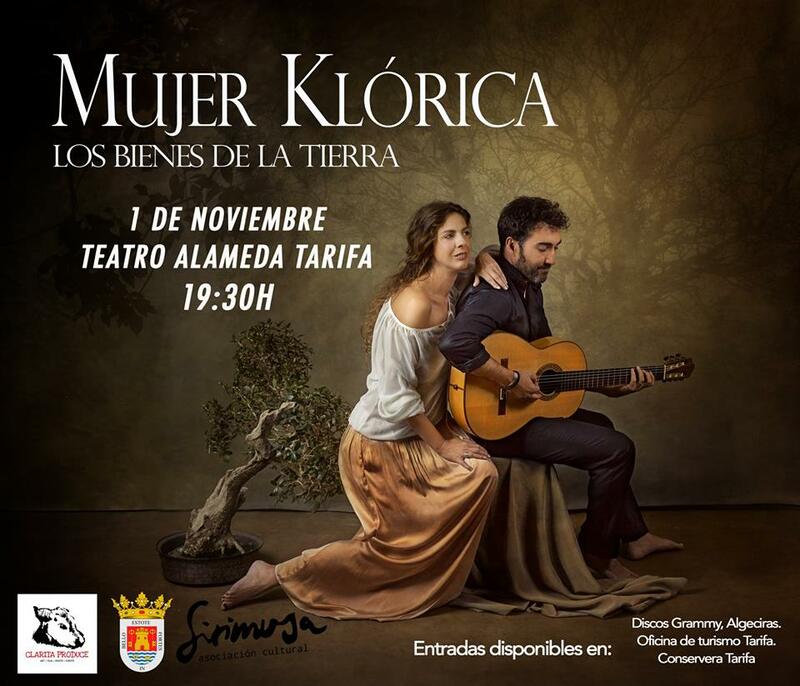 The tickets are already on sale at points such as the Tourist Office, the Conservera Tarifa store and on Algeciras Grammy records.